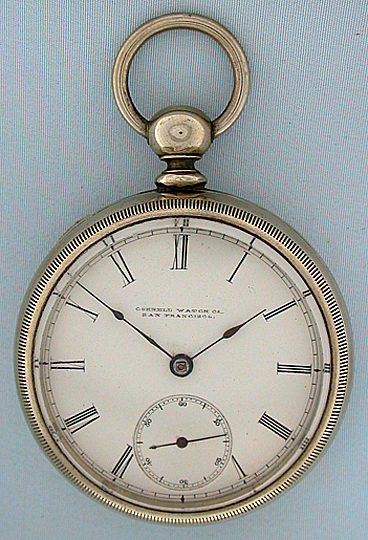 Cornell Watch Co. San Francisco antique pocket watch circa 1875. 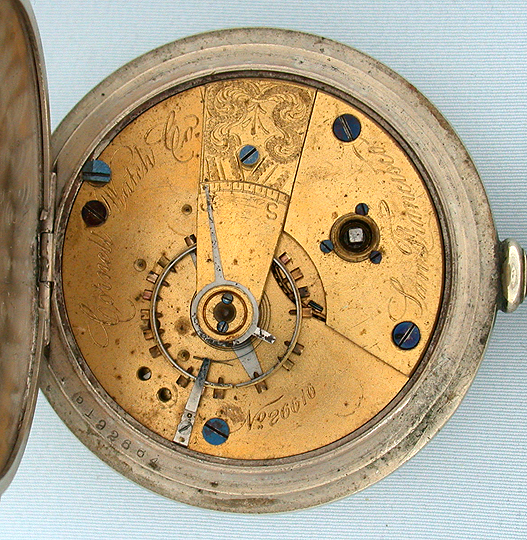 Plain polish nickel case contemporary with the movement. White enamel dial with blued steel hands. Gilt 7 jewel 18/S movement with aging to the finish.